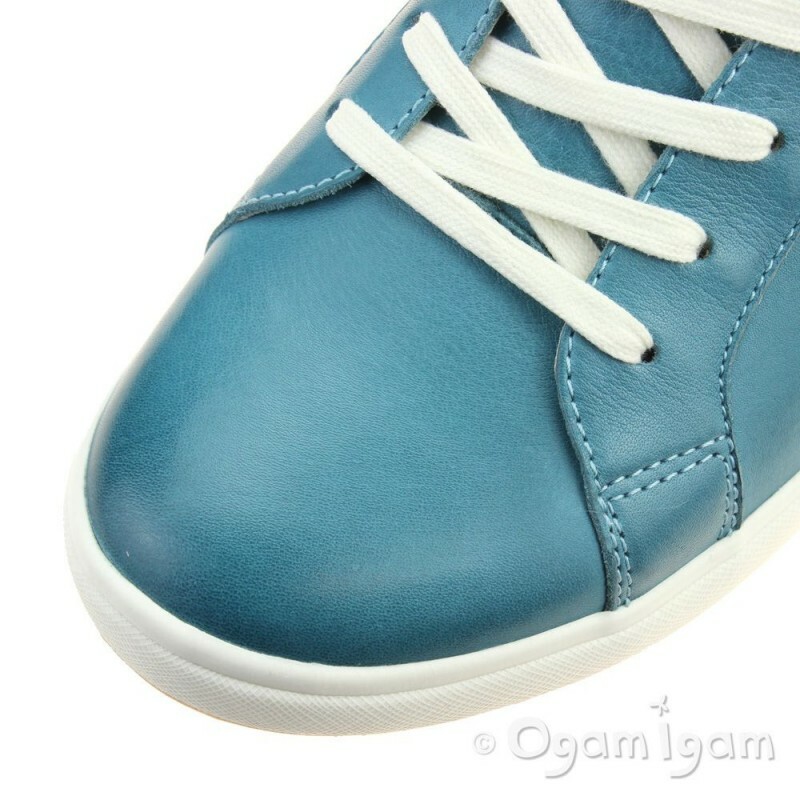 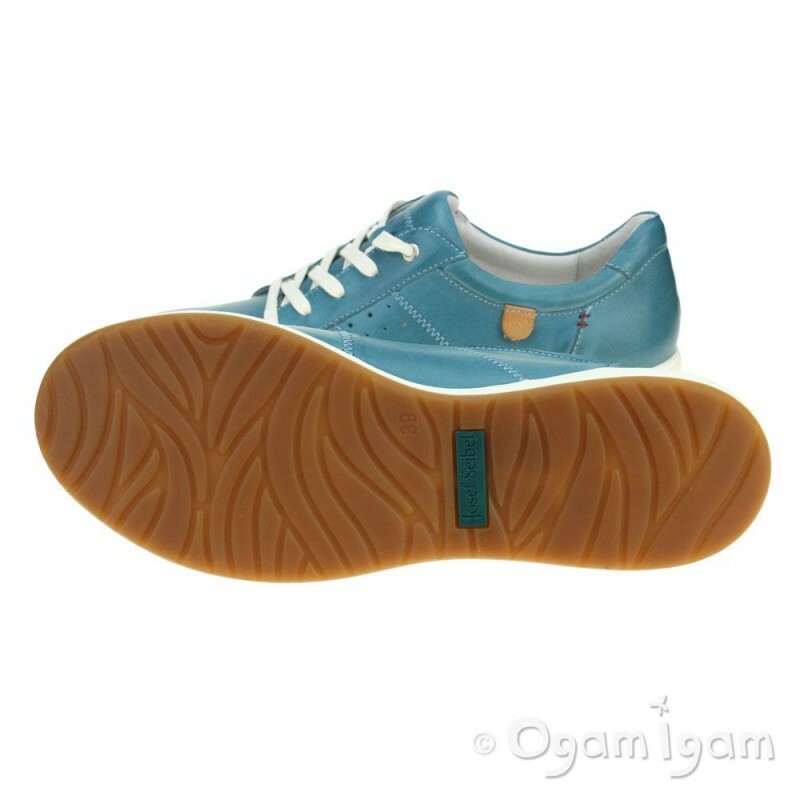 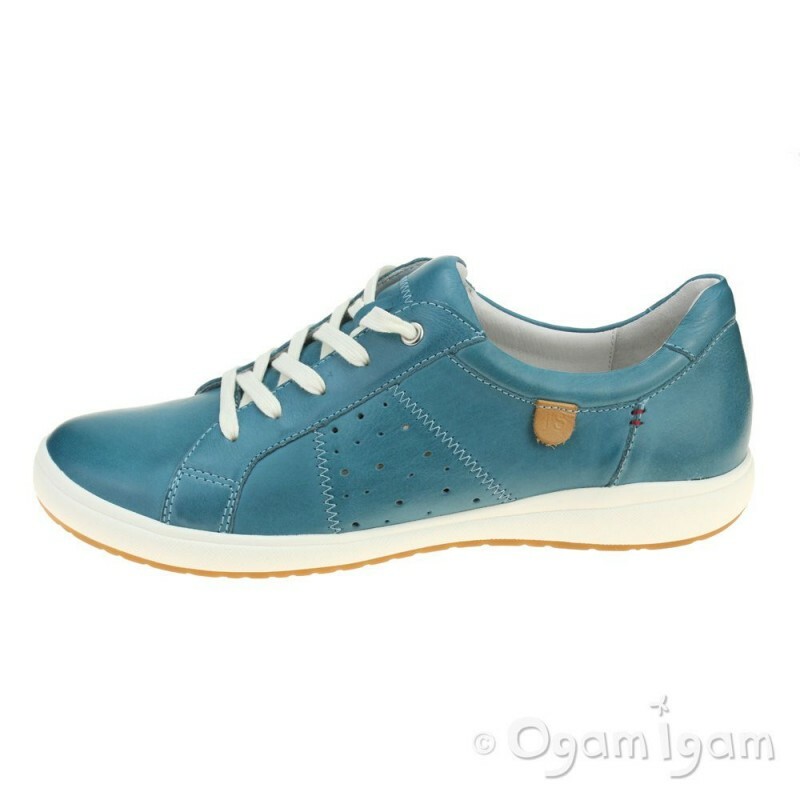 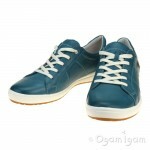 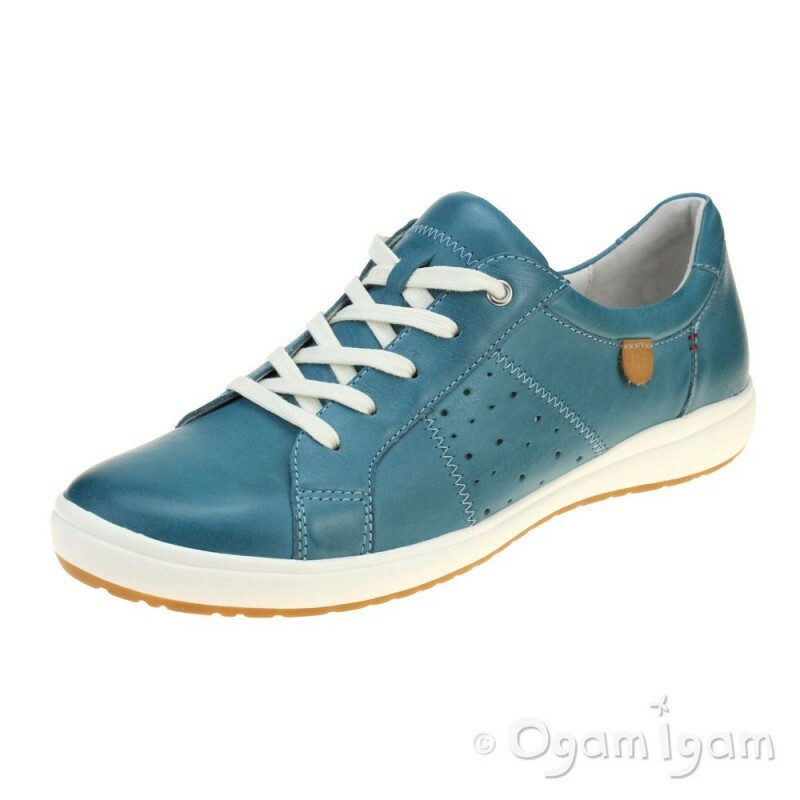 Brighten up any outfit with the Josef Seibel Caren sneaker in vibrant turquoise. 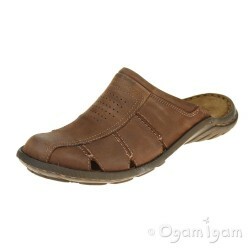 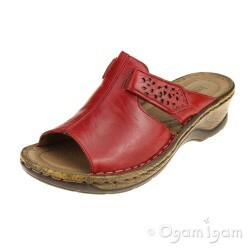 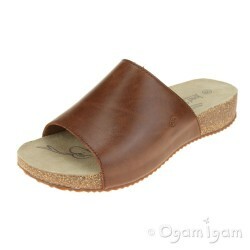 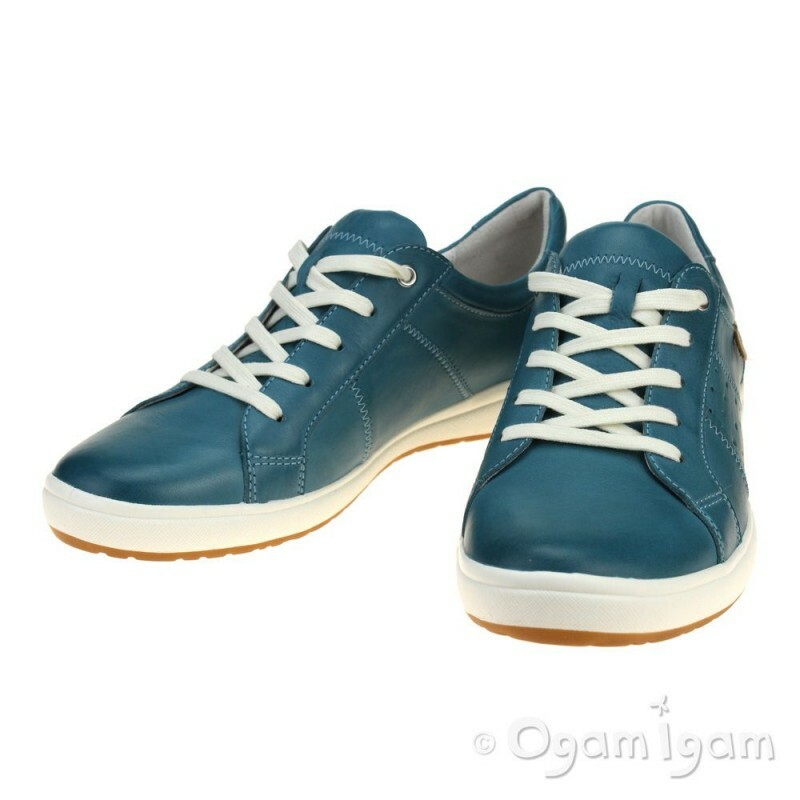 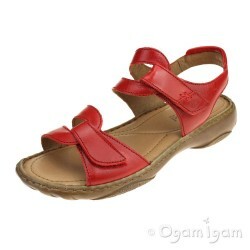 Its bright leather upper is made from soft smooth leather and when paired with a padded insole and collar, it is a superbly comfortable shoe. 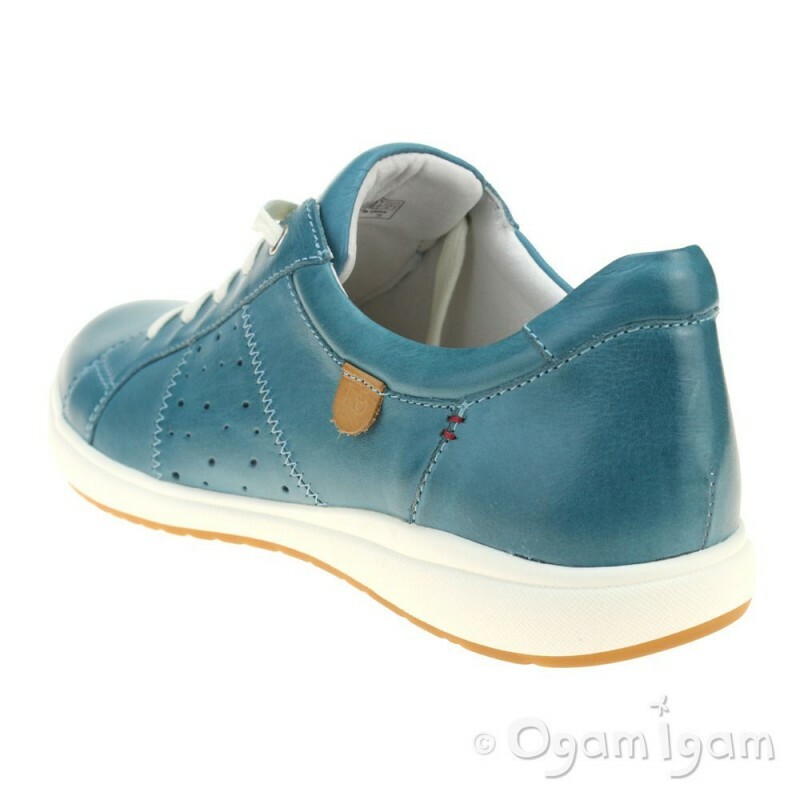 The azur blue upper is complimented with coordinating blue stitching and delicate perforation detail. 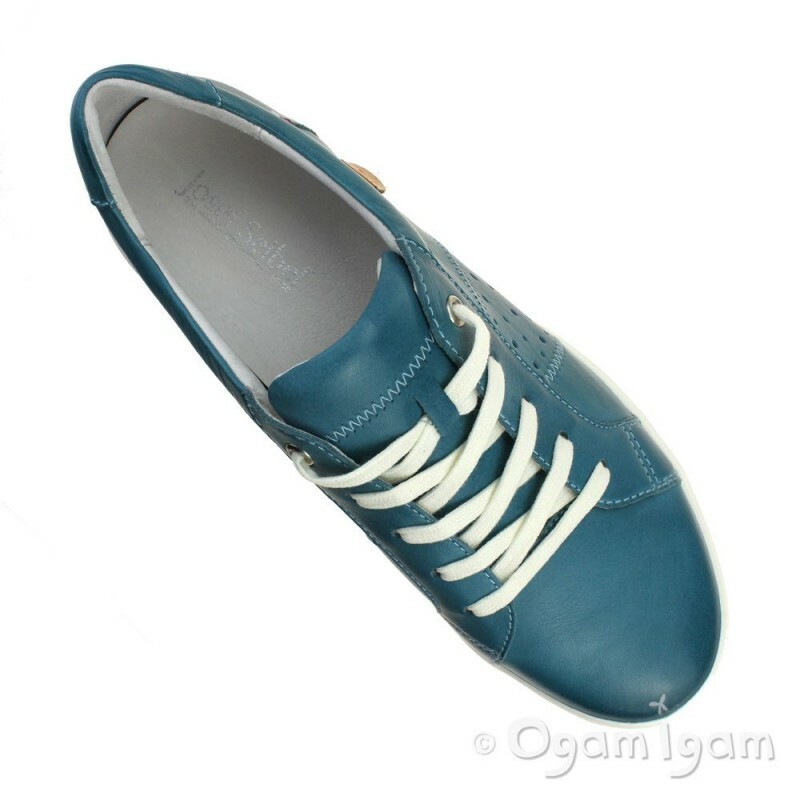 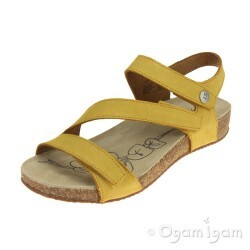 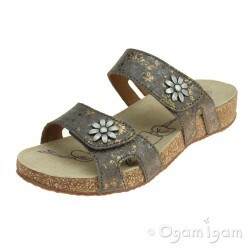 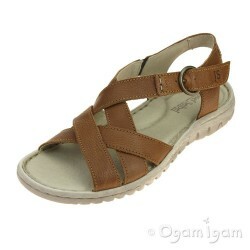 The style is secured with a five hole lace system and white flat laces. 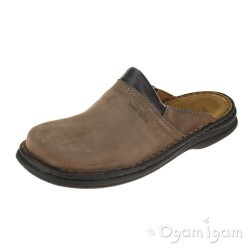 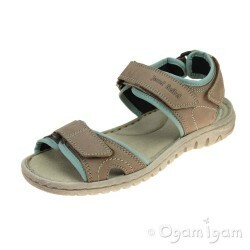 Completing the sneaker shoe is a generous cream sole unit with durable tread.